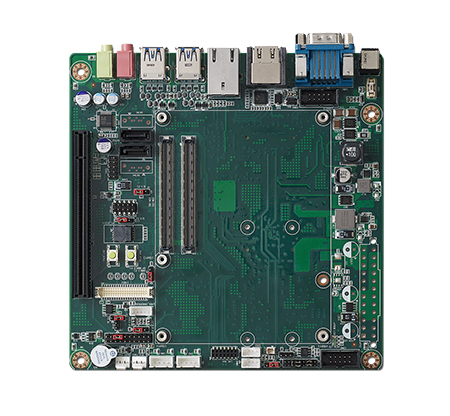 Windows Embedded Standard 2009 / WES09 (Windows XPE ) | EMAC Inc.
SOM-AB5810 is the newest Mini-ITX application board. Windows Embedded Standard 2009 is the componentized version of Windows XP, a leading desktop operating system, enabling rapid development of the most reliable and full-featured connected devices. Based on the same binaries as Windows XP Professional, Windows XP Embedded (XPE) enables embedded developers to individually select only the rich features they need for customized, reduced-footprint embedded devices. Click here for the differences between XP Pro and XPE. Building upon the proven code base of Windows 2000, Windows XP Embedded delivers industry-leading reliability, security, and performance along with the latest multimedia Web browsing capabilities, and device support. Windows XP Embedded also incorporates the latest embedded-enabling capabilities such as headless support and flexible boot and storage options. In addition, Windows XP Embedded contains a completely redesigned tool set, called Windows Embedded Studio, which enables developers to rapidly configure, build, and deploy smart designs. Windows® XP Embedded is built on upon the proven code base of Windows XP, which features a 32-bit computing architecture and a fully protected memory model. Key reliability, security, and performance features include Device Driver Rollback, a pre-emptive Multi-tasking Architecture, and Encrypting File System (EFS) with Multi-user Support. By componentizing Windows® XP Professional, Windows XP Embedded enables developers to use the latest technologies the Windows platform has to offer, while at the same time achieving a reduced footprint. Embedded developers can take advantage of all the great features available in Windows XP such as multimedia capabilities. Features include Universal Serial Bus (USB) and Internet Explorer 6.0. Windows XP Embedded also includes embedded-enabling features, such as Flexible Boot and Storage Options, and Enhanced Write Filter. Rich networking capabilities and management features provide Windows® XP Embedded devices seamless integration with PCs, servers, Web services, and other devices. Comprehensive networking protocol support includes Infrared Data Association (IrDA) Support, 802.11 and 802.1x, and Universal Plug and Play. Windows® XP Embedded includes a completely redesigned tool set that enables devices based on Windows XP Embedded to be brought to market faster. The new Windows Embedded Studio streamlines the end-to-end development process enabling developers to rapidly configure, build, and deploy smart designs with rich applications. Device Driver Rollback If issues occur when new device drivers are added, a copy of the previously installed driver is saved, enabling a user to roll back to the original device. Universal Serial Bus (USB) Supports a wide array of USB peripherals such as scanners, mice, keyboards, and so on. 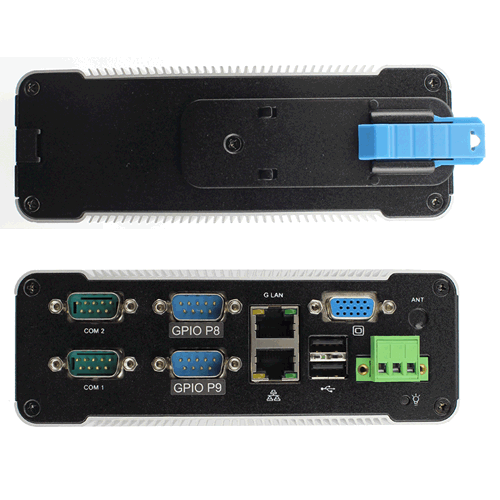 Universal Plug and Play (UPnP) Universal Plug and Play (UPnP) is an architecture for pervasive peer-to-peer network connectivity of devices of all form factors, including intelligent appliances and wireless devices. UPnP is a distributed, open networking architecture that leverages TCP/IP and the Web to enable seamless-proximity networking in addition to control and data transfer among networked devices in the home, office, and everywhere in between. Pre-emptive Multi-tasking Architecture Designed to allow multiple applications to run simultaneously. Includes enhancements to ensure great system response and stability. Encrypting File System (EFS) with Multi-user Support Encrypts each file with a randomly generated key. The encryption and decryption processes are transparent to the user. In Windows XP Embedded, EFS can allow multiple authorized users access to an encrypted document. Flexible Boot and Storage Options In addition to magnetic disk, boot capability is offered for alternative nonvolatile (persistent) read/write storage devices such as Flash ROM and battery-backed RAM. Boot from CDROM is possible when the El Torito bootable CD-ROM driver is used in combination with the Enhanced Write Filter and ROM. Windows XP Embedded also provides support for DiskOnChip Flash, PCMCIA-ATA, Compact Flash, MultiMediaCard, and MemoryStick. Enhanced Write Filter Enhanced Write Filter (EWF) re-routes selected disk I/O to memory or another storage medium, thus providing the appearance to the operating system that your read-only storage is writable. Internet Explorer 6 Provides the latest Web browsing technologies including visual refresh, playback support for Flash and Shockwave files, and privacy enhancements. 802.11 Windows XP Embedded supports 802.11 wireless LAN technology that provides high bandwidth connectivity without wires. 802.1X 802.1X provides secure access to the network to support wireless LANs and Ethernet. It enables interoperable user identification, centralized authentication, and dynamic key management and can secure both wired and wireless LAN access. Infrared Data Association (IrDA) Support Windows XP Embedded fully supports standards for this low-cost, low-power, cable replacement technology that enables any device to communicate from point-to-point when two devices are in line sight of each other. 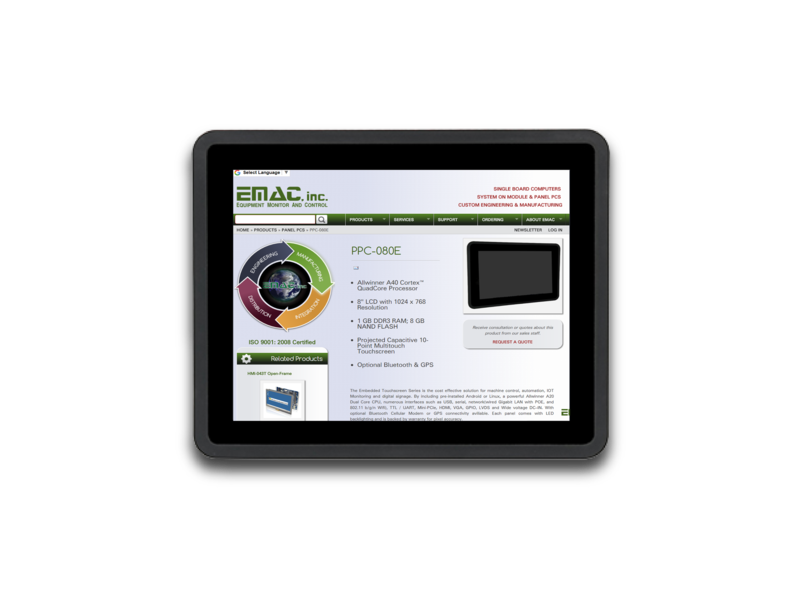 Embedded-Specific Features Windows XP Embedded with Service Pack 1 incorporates the latest embedded-enabling capabilities, focusing on remote deployment and maintenance scenarios. Remote Boot The Remote Boot service for Windows XP Embedded with Service Pack 1 enables a Windows XP Embedded-based client device to boot using an image downloaded from a server. It also enables Windows XP Embedded-based devices to operate without requiring persistent storage, such as a hard drive or Flash RAM. Device Update Agent Windows XP Embedded with Service Pack 1 enhances support for in-field servicing with Device Update Agent (DUA). DUA is designed to address scenarios where it is necessary to incrementally update or service a Windows XP Embedded device that has been previously deployed to the field. Footprint Estimator Using Footprint Estimator, embedded developers can now estimate the footprint size of individual components and their dependencies, as well as macro components, prior to adding them to a configuration. This enables developers to proactively know what the impact of a given component will have on the image size, thereby avoiding guesswork and saving development time. System Deployment Image (SDI) Manager: The System Deployment Image (SDI) service enables you to quickly deploy run-time images to your Windows XP Embedded-based devices. The SDI feature enables easier staging of runtime images on your development workstation and preparation of images for fast deployment. It also provides an easier method for transferring the runtime image from the development system to the device. Multilingual User Interface (MUI) Language Packs Windows XP Embedded with Service Pack 1 has support for over 20 languages. Windows XP Embedded MUI Language Packs enable you to save time and effort in localizing your solution for multiple markets by enabling you to develop your customized operating system image only once rather than requiring you to localize each version from the ground up. By simply adding the desired language pack to your base English configuration, the user interface will be localized into your chosen language. CPU: Computer with 300 megahertz or higher processor clock speed recommended; Pentium II 233 MHz minimum required (single or dual processor system);* Intel Pentium/Celeron family, or AMD K6/Athlon/Duron family, or compatible processor recommended. Some slower CPU's are supported but will cause limitations of the build particularly in multimedia applications. Typical requirements for a Full standard workstation XPE build: A system with a Pentium III or better processor 256MB of memory and at least 2GB of flash for a Full Standard build with SP3 and .Net 3.0 framework. Builds running multimedia will require a faster processor and more memory, typically at least 512MB, to run smoothly.